The kitchen garden is slowly beginning to take shape. 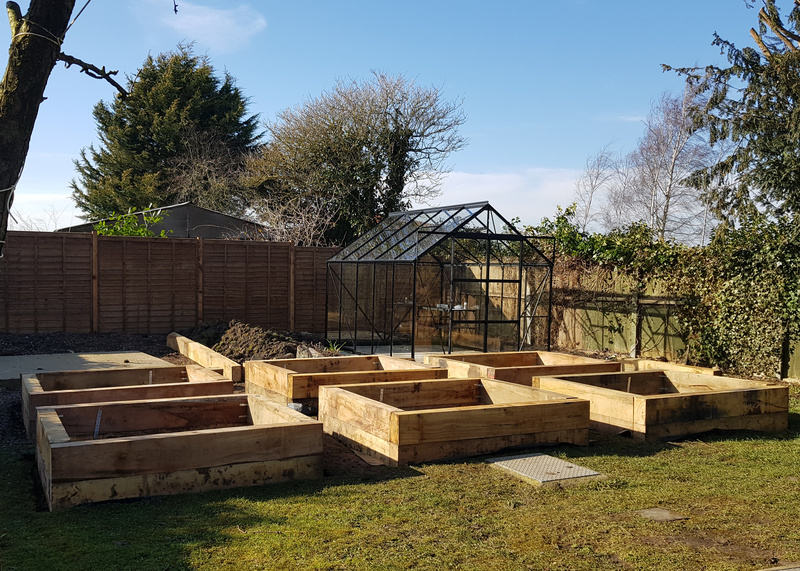 Our new greenhouse was installed at the start of the week, and Ade has been super-busy, digging beds and laying sleepers. What was once a dark and neglected part of the garden, crammed with overgrown conifers and weeds, is now a bright and soon-to-be productive kitchen garden area. There’s still masses to do, but we’re getting there. 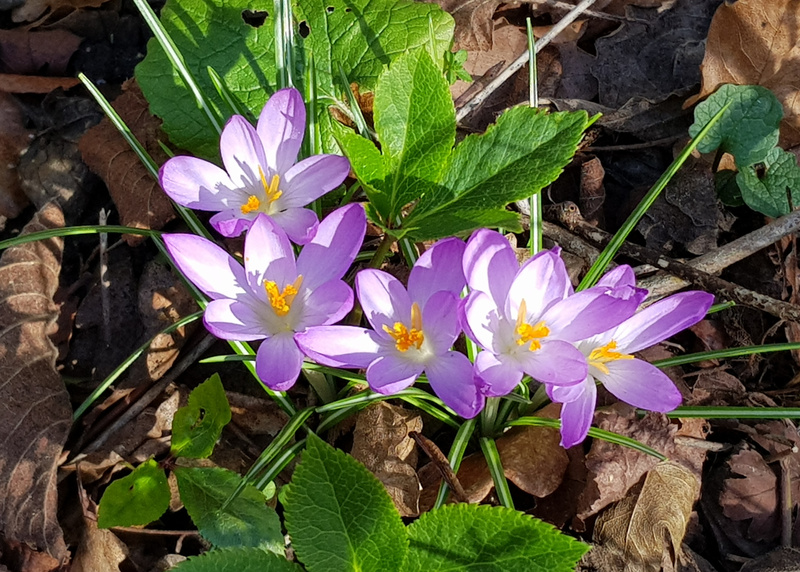 There are also encouraging signs that spring is on its way. 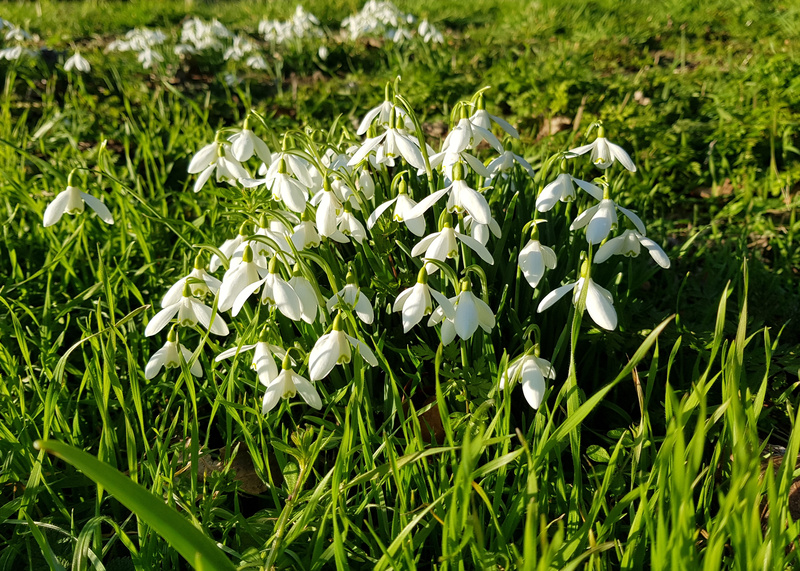 Although there’s not much appearing in our own garden (it seems the previous owners of the house were not very interested in the garden), clusters of snowdrops have appeared along the verges and I saw my first crocuses this weekend; they’re one of my all-time favourites. Combined with the beautiful sunshine we’ve had over the last few days, it really feels like things are progressing.